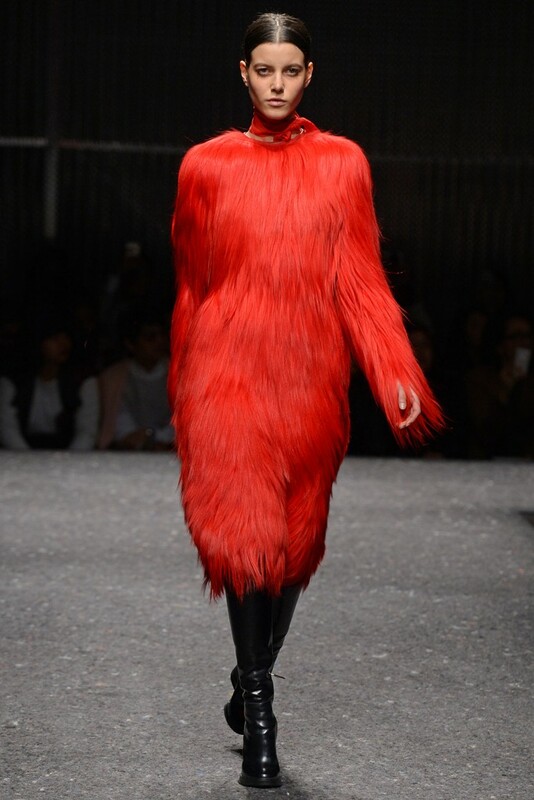 And now for PRADA and Costume National RTW Autumn 2014 in Milan! Another day and another series of shows to see and bask in the glory of all this design talent. Milan always throws up a few surprises in what it offers each season and this week has been no different at all. There have been some flow on effects from the London shows that concluded earlier this week with trends evolving for the upcoming Autumn season. I have so many designers that I love to follow and who never stop to present collections that have vision and creativity that are fresh, new and directional. Two more of my favourites took to the catwalk yesterday to present their upcoming Autumn 2014 RTW collections and each one was a revelation. PRADA www.prada.com presented what was probably her most commercial collection for some time. 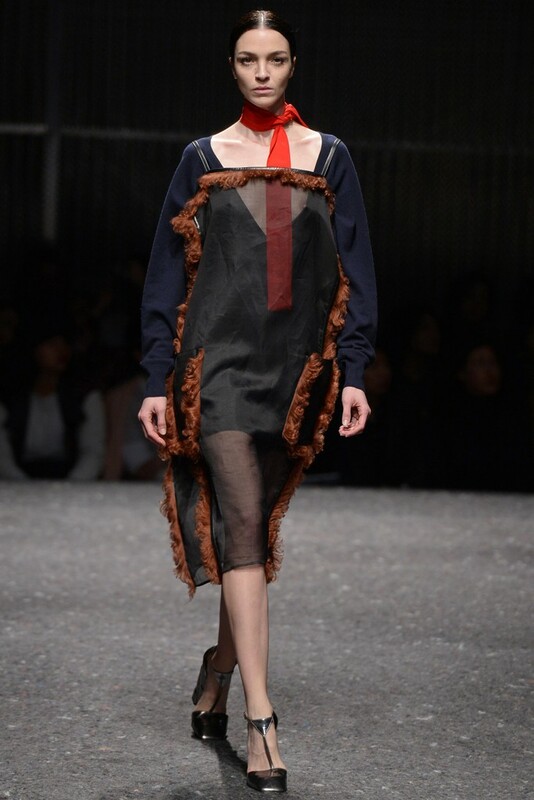 This collection connected back to her recent men’s collection with references, albeit vague at best to German avant-garde culture. The set was held over exactly from men’s collection: an austere grey industrial stage surrounded by metal scaffolding. The musicians occupied several pits while the models negotiated the surrounding elevated walkways with grace and style. 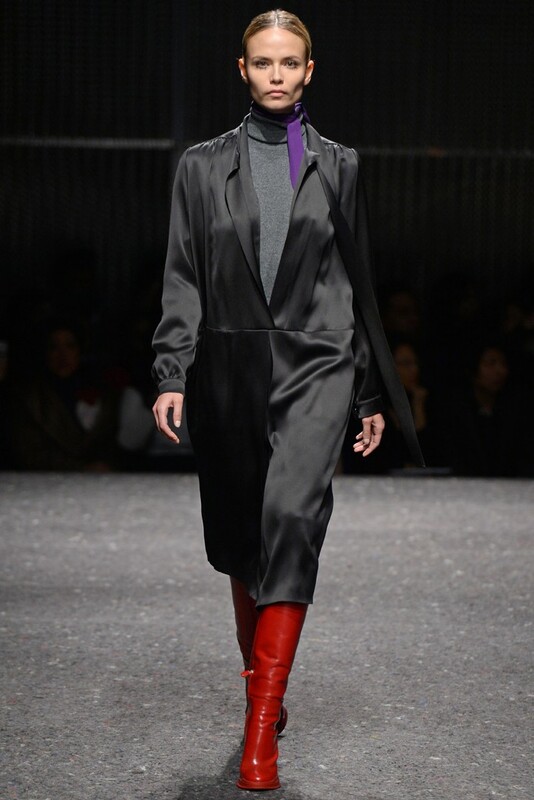 Prada opened with a perfect simple black shirt dress over a grey turtleneck, which was perhaps to set the scene for what was to come and to show how far she had moved from the excesses of the Spring collection. But this was of course never going to be that simple at all as what followed were a selection of dark, mannish coats, their contrast piping reminiscent of school Blazers, worn over sheer shifts. And just as things were settling down again the coats got bolder, an explosion of colour, this manifested at first in trims and then exploded in an array of shearlings in bold combinations of yellows, reds and purples. As is usual with Prada marching to her own drum and setting trends is where she shines and once again this was shown here with this collection. 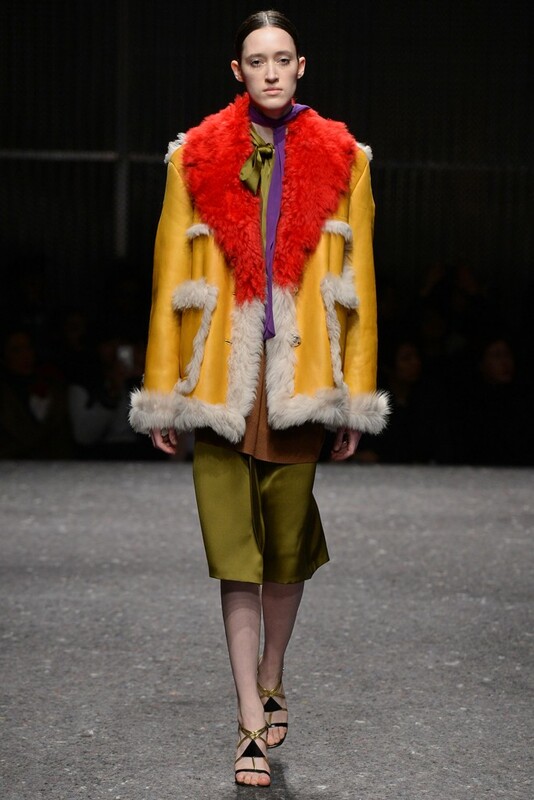 This collection retained every bit of the drama and fashion importance we know and expect from Prada. 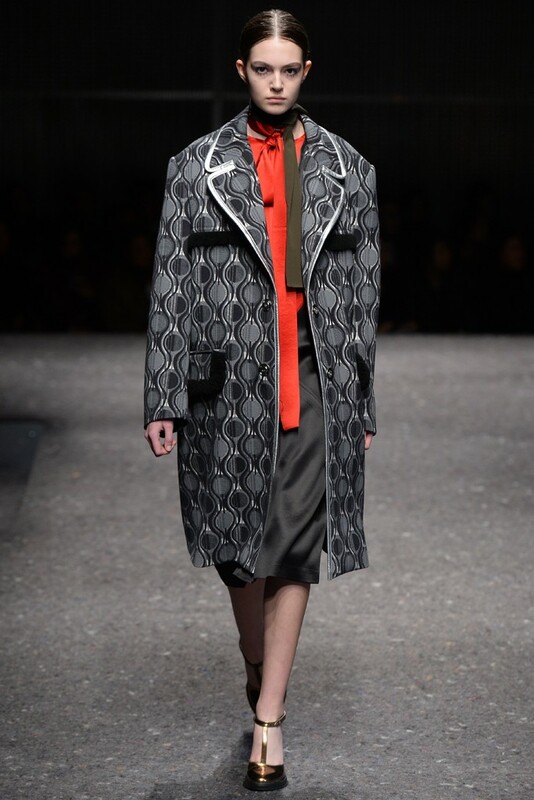 Trending for sure and commercial as well – PRADA weaves some magic! Colour and sheer — Prada showcased plenty of both. And there was a distinct mood to the prints. 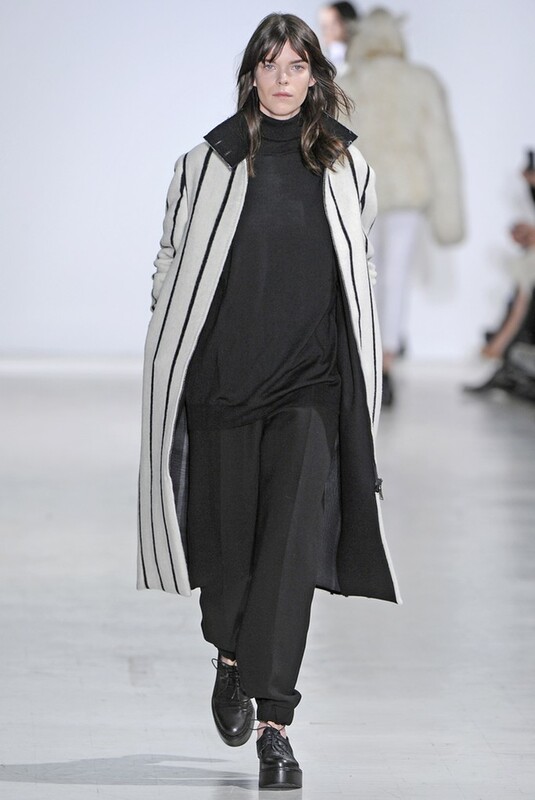 This show was marked by a casual, flamboyance that felt grounded, sensual and eccentric. What at first look seemed to be a complicated collection but scratch the service and as I said before this was perhaps the most commercial collection from Prada for some time and will have fashionistas scrambling for the pieces included here to make up their Autumn wardrobes. 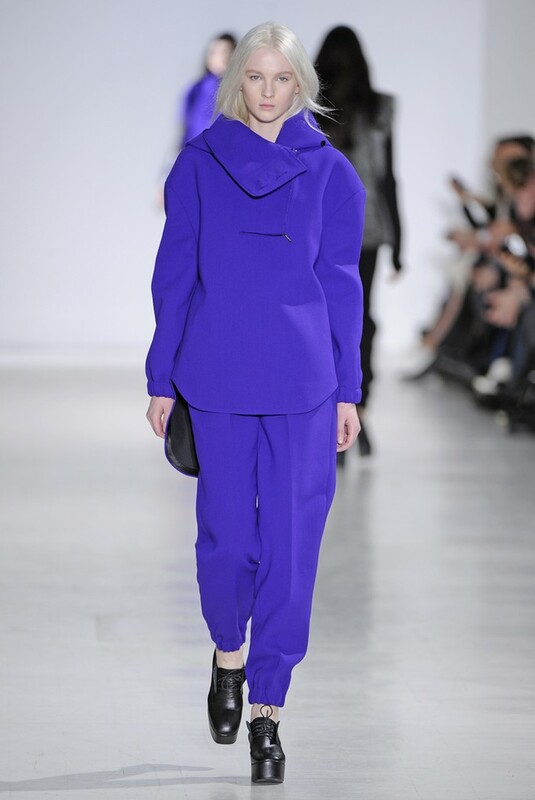 Ennio Capasa likes to give his Costume National www.costumenational.com shows an arty vision. Capasa said art was about confronting order and chaos, the rigid and the fluid all melding together to create life. 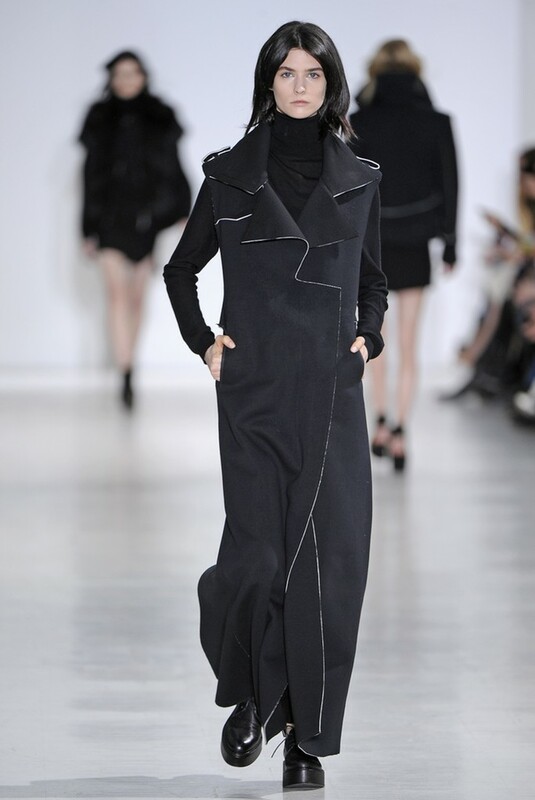 With this collection he set about doing this with his clothes, which contrasted the masculine and feminine by mixing strong tailoring with more casual shapes. 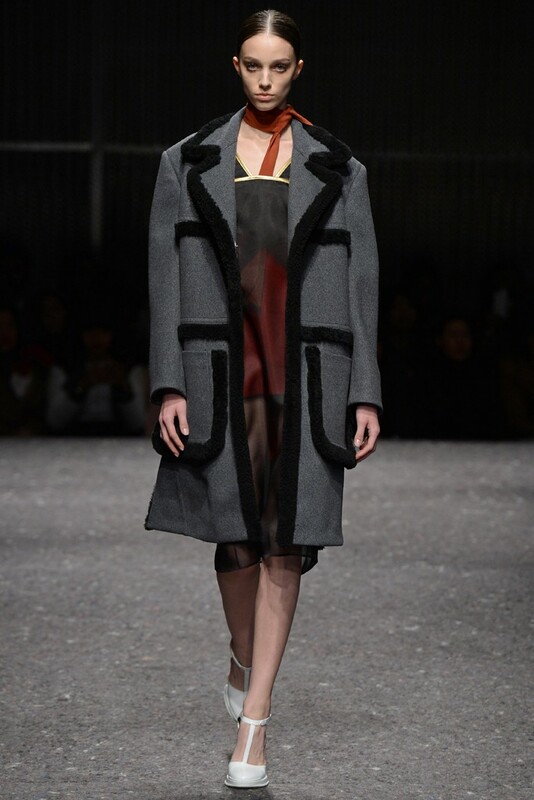 There were floor-sweeping coats and fur jackets with extra-long sleeves. Suits paired long double-breasted jackets with jogging pants, including one version done in traditional pin-striped wool that created a completely new look and feel. This was the formal and the casual melded together to great effect. 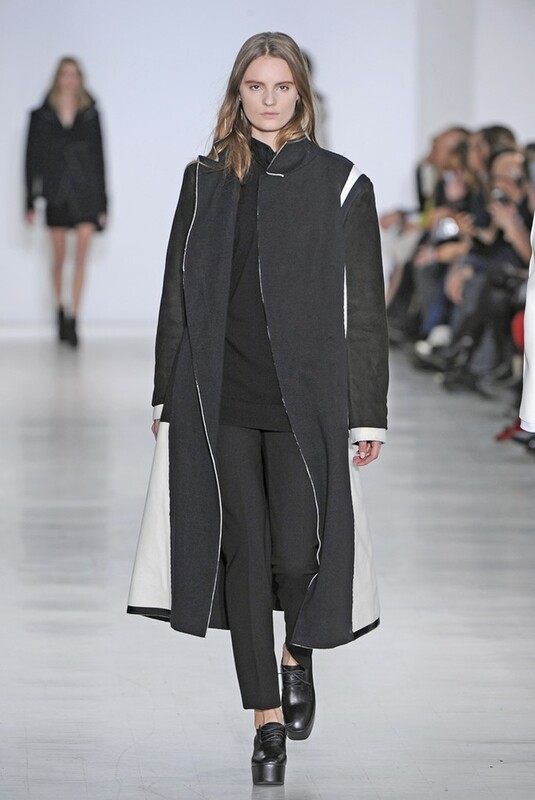 Capasa’s luxe take on athletic wear was delightful, especially a polo top and jogging pants in light grey flannel, shown under a sweeping black coat. 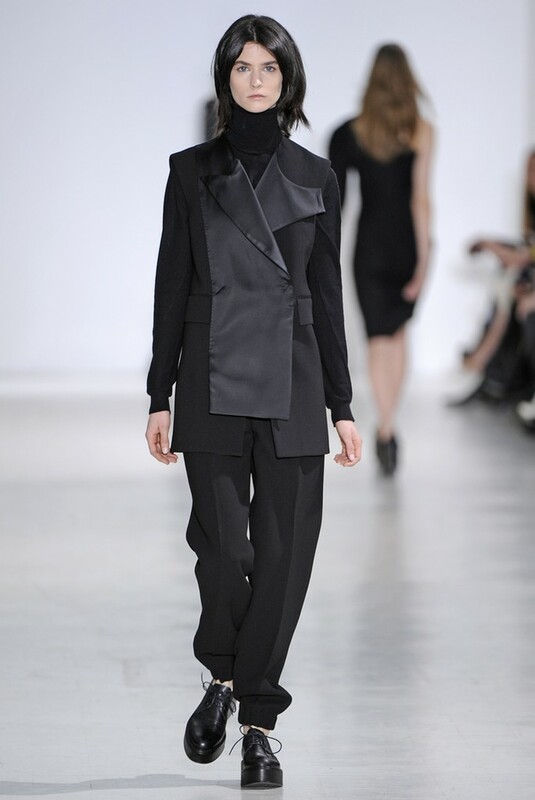 His take on evening was also a delight with a black gown with a tuxedo-collar neckline worn over slim trousers made for a vision of modern femininity and was on trend! Now to Milan for RTW Autumn 2014 with some Italian flair! A wine and food pairing tasting at the Osborne Park Hotel featuring Taylors Wines!